You may have heard of THE FRIENDS OF SAX ASSOCIATION that has been set up in the village of Sax, if not, then I can suggest to you to find out more about it. It is for all of the international community that has found their way to our little village of Sax. You will be able to join “THE FRIENDS OF SAX ASSOCIATION . There is a fee of 25 euros a year for families and this will be of benefit to all the international community that live in Sax. A few words from “THE FRIENDS OF SAX ASSOCIATION” to those who have decided to live between us. 1.- Why this letter? Because when you decided to live amongst us and registered as resident in Sax you really became one of us. We must confess that we did not immediately realize the importance of this fact but, as British and Spanish people say ‘better late than never’. We also realized that, for many different reasons, there are unregistered people who cannot vote in Sax but we also consider them as members of our community. Sax is becoming more and more an international community. In conclusion, we consider you one of us. 2.- Introducing ourselves. The list of our members intends to represent the society of Sax and it includes persons ranging from university graduates to housewives. The ages of the candidates are different and some have experience in public affairs whereas others do not. In politics, we declare ourselves ‘independent’ because in our group not everybody thinks exactly in the same way. However, we all share a main feature: We do not depend on politics to make a living. If you share this characteristic with us, you are one of us. 1.- Language problems because most Spanish people do not speak your language and you have to make a considerable effort to speak Spanish fluently. 2.- The real prices of goods and services because as a foreigner you can easily get ripped off. 3.- Help in your relation with the Spanish Administration, because laws and rights are not yet the same in all countries of the European Union. 4.- Communication with your country because if you live in the countryside around Sax the mail services are poor, if any, and probably you do not have a telephone and it is impossible to have an effective connection to Internet. 5.- Problems with your health because many foreign people living in Sax are already retired. 6.- Total absence of activities for bringing together British and Spanish people, including ways of participating in political life and the taking of decisions in our community for those British people who want to do so. 4.- About solutions and proposals. We want to be very realistic and specific on these aspects rather than offer you impossible proposals. 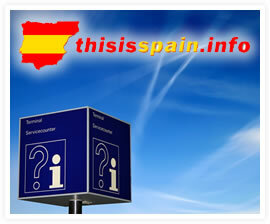 1.- Activities about the Spanish language, food, wines, history and traditions etc. 2.- A local office/service that you can contact to help you and advise you about prices, laws and regulations, etc. and also facilities for Internet and telephone available most of the day. 3.- An Association has legal standing and protection and therefore has greater legal force than an individual when it comes to obtaining information or demanding action from the Town Hall/local authorities/ police etc. when representing its members. If you are still considering purchasing in the area, you should make contact with Girasol Homes who have many years’ experience that you can take advantage of.